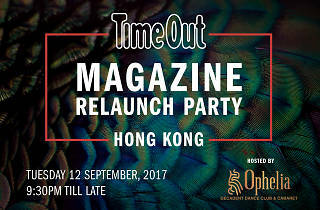 Time Out Hong Kong's magazine is returning to our city on September 13 – and to celebrate we're inviting all our readers to join us at Ophelia to party! After a six-month hiatus, your bible for everything events, food, music and culture – Time Out Hong Kong Magazine – makes its glorious return on September 13, free to pick up at MTR stations around the city. Feels good to be back. 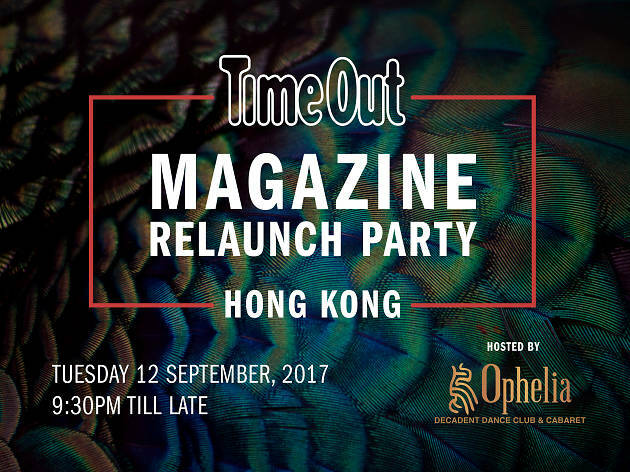 To celebrate, we're inviting all our readers to join us at Ophelia nightclub in Wan Chai's Lee Tung Avenue on Tuesday September 12, from 9.30pm, for our grand Magazine Relaunch Party. Expect wild dancers, contortionists, acrobats, entertainers and, of course, the Time Out Hong Kong team. There are competitions on the night, sneak-peek copies of our new-look magazine and a crazy celebratory atmosphere – plus, entry is totally free! Sound good? Course it does. RSVP here so we can get excited about you coming. The first 150 people to RSVP will receive complimentary drinks on arrival. So be quick, sign up and we'll see you on 12 September!